This is the newest Morris Chair I released at the 30th Arts and Crafts Conference in February at the Grove Park Inn show this year! It is made out of Sapele and Ebony with a dye stain and a hand rubbed lacquer finish. 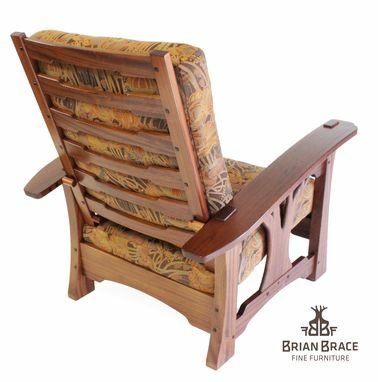 I have had this chair in my head for 3 years and with owning a business of making furniture it is hard to fit in new pieces as the business grows. I just built dining room chairs for a Henry Greene original house in California and will feature them soon. Thank you all for looking and is nice to share and show. 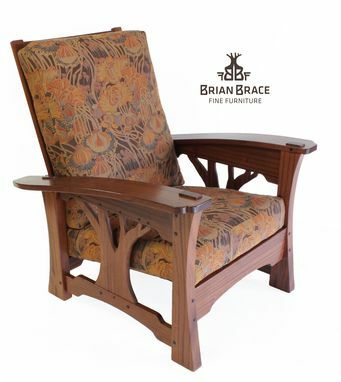 I would love you to Please follow me on Instagram at Brian Brace Fine Furniture!